A great example of a diverse mixture of high-quality ecological communities including freshwater and mangrove swamps, wet prairie and estuarine/river, The Kiplinger Nature Preserve is just the place to discover how our native plants were used by early Floridians. The one-mile loop through this preserve showcases healthy stands of Sand Pine/Scrub Oak, a vegetative community considered environmentally important by Martin County, as well as pine flatwoods and scrubby flatwoods. Wildlife such as the great blue heron, snowy egret, the golden-silk spider, raccoons, alligators and other creatures native to South Florida make this area their home. 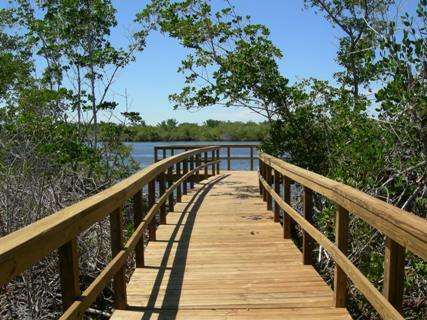 Located on the west side of Kanner Hwy, just south of SE Indian Street, hikers should meet at the Kiplinger Nature Preserve sign in time for a 10:00 a.m. walk.